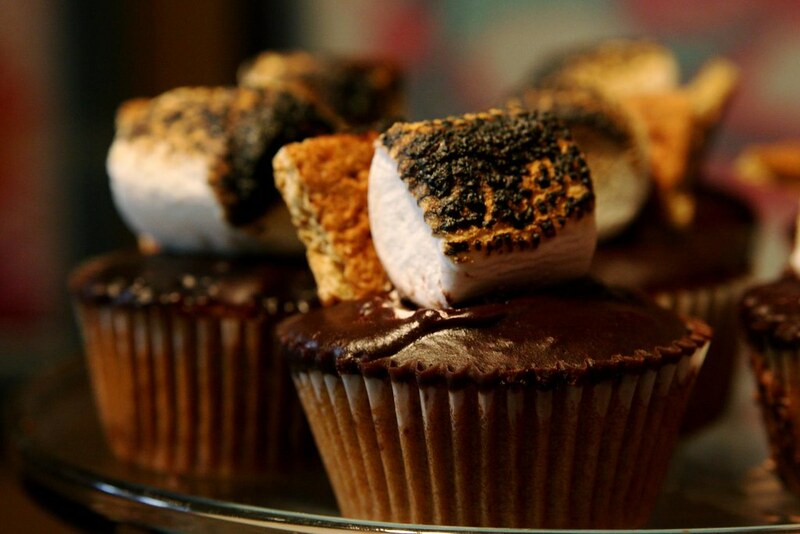 Yes, these are s'mores cupcakes and they look delicious. The marshmallows are toasted with the aid of a tiny blowtorch. Unfortunately, they may also be fit to be featured on thisiswhyyourefat.com because the tastiest things are also usually the least healthy. Please tell me where I can find that. That looks AMAZING.